“Half of a Yellow Sun” is a difficult novel to read, but well worth the effort. It’s not difficult in the sense that you’ll have trouble following the sentences, understanding the words, or tracking the plot. It’s difficult mostly because of the subject matter: the three-year civil war between Nigeria and the breakaway country called Biafra, which took place from 1967 to 1970. Most Americans barely remember that futile, devastating war in a corner of a continent that we essentially ignore. We were too busy, I suppose, focusing on our own war—the one in Vietnam—to pay much attention. 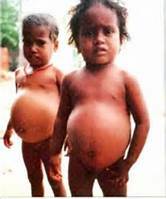 We saw pictures of starving Biafran children, their stomachs bloated with a lethal form of malnutrition that we could hardly pronounce—kwashiorkor. But most of us didn’t even bother to consult a map to see where this place called Biafra actually was. The book’s title refers to the rising-sun logo on the Biafran flag. The author, Chimimanda Ngozi Adichie is Nigerian. She is too young to have lived through those terrible years, so she based her novel and her characters on contemporaneous accounts and on the stories told to her by older relatives and others who were there. It’s a story that left me feeling sad: not sad in the way one might feel at the end of a romantic tear-jerker; sad in a more global sense; sad for the real people who experienced the inexorable downward spiral and unimaginable hardships thrust upon them by war. The main characters represent the spectrum of social and economic strata in 1960s Nigeria: The privileged families of tribal royalty, living a comfortable life that mimics that of the British, who were Nigeria’s colonizers; middle-class Nigerians—members of the Igbo tribe—whose entrepreneurial abilities earned them both respect and hatred; Nigerian academics, who pushed back against colonialism and created the philosophical rationale for secession; and rural Igbos who worked as “houseboys” for both British and Nigerian “masters.” Another key member of the cast of characters is a British writer, whose fascination with Nigerian tribal art moves him to learn to speak Igbo, to fall in love with an Igbo woman, and ultimately to see himself as a Biafran. The plot covers the early 1960s through 1970. In the beginning, Adichie focuses on the peaceful, comfortable lives of the characters. But when Biafra secedes from Nigeria, their lives slowly and steadily deteriorate. At first, they are in denial, believing the puffed-up propaganda delivered on official Biafran radio. Eventually, reality takes hold: The world abandons Biafra. England sides with Nigeria. The US refuses to engage. The principals of the story—Olanna, Kainene, Ugwu, Odenigbo and Richard—are forced to flee again and again, as Nigerian airplanes strafe and bomb them. Their lives are reduced to subsistence. Their relatives are killed; their young men are forcibly conscripted into the Biafran army; their children starve to death. The writing is vivid. The characters are alive. You keep hoping for redemption, but there is none. There is no happy ending. Sorry, if I’ve spoiled it. But this is the reality of war, and Adichie refuses to sugar-coat it. To get back to the difficulty of reading this book: One of the challenges is the author’s use of Igbo phrases. She is, of course, justified in employing indigenous language in a book that is so much about tribal identity. As a reader, you just have to invent your own way to pronounce some of the characters’ names, and you might even attempt to pronounce some of the words. But they are there for a reason, and they give the book a certain flavor that would be missing without them. Something that I could have done, that might have enriched my own reading experience, would have been to search for an on-line pronunciation guide, just to hear how these words would really sound. Part of the pleasure of reading a book like “Half of a Yellow Sun,” is to be taken away from one’s own life and to become acquainted, if only for a little while, with a completely different culture. This novel goes on my personal list of books that achieved that for me. Even if it made me very, very sad.